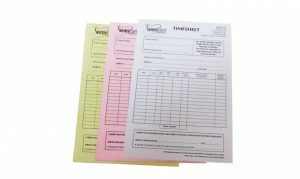 Keep track of your invoices and duplicated forms with our cost-effective printing service for ‘no carbon required’ pad sets. Tell us what you want and we will print it. If you are unsure as to the detail you need to go into, or would like a design to be set up for you, we can offer you this too.